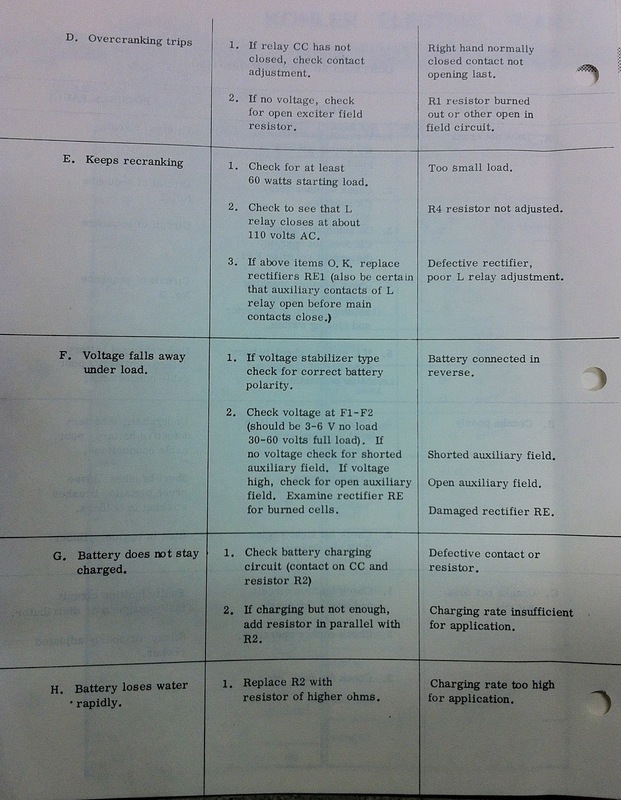 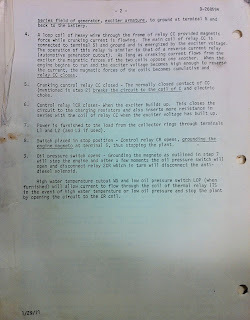 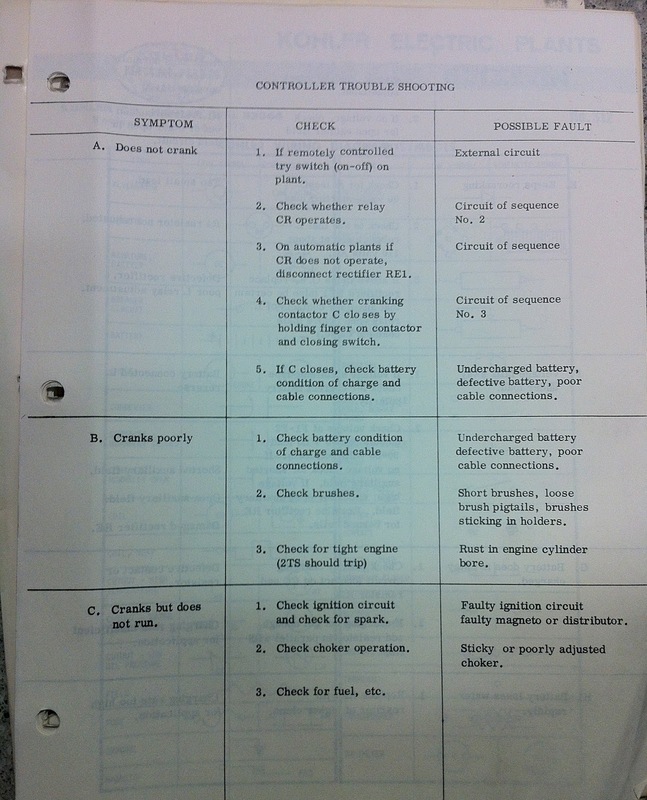 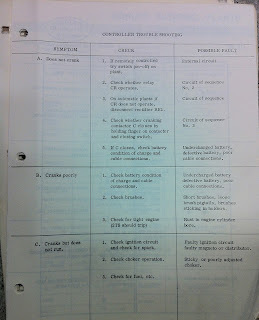 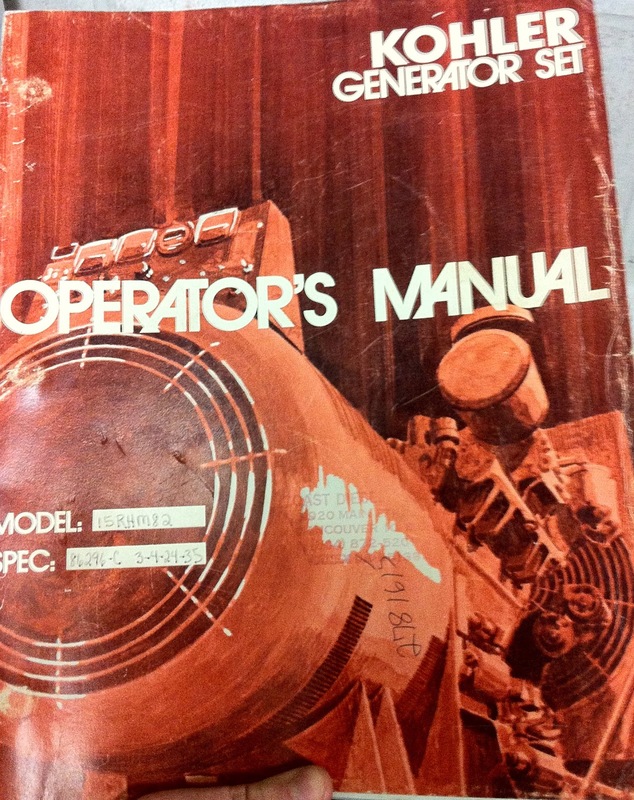 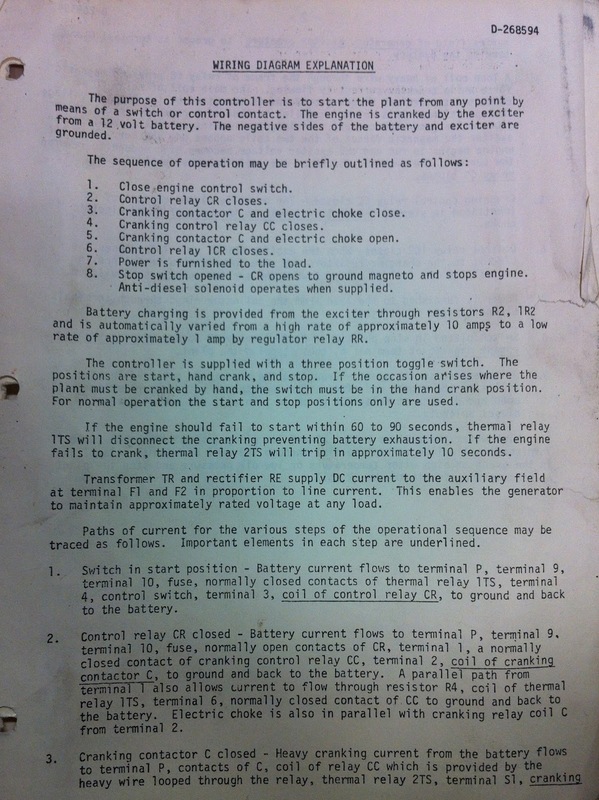 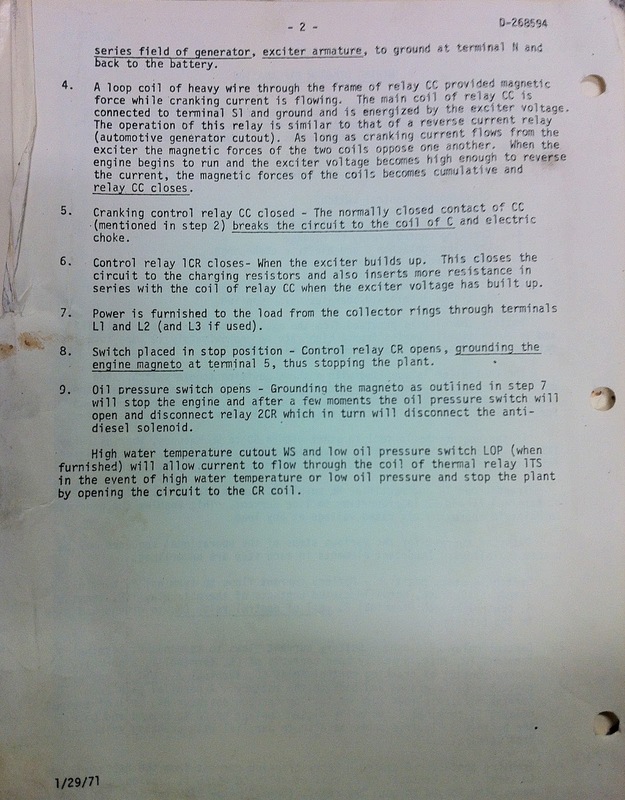 It's rare that I find a complete operator's manual, especially for the older units so I took a couple pictures of the troubleshoot page and the explanation of the wiring diagram (the actual diagrams I have access to through work). 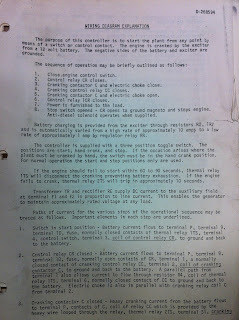 I thought it might be a handy information to share because it more or less applies to any generator make. 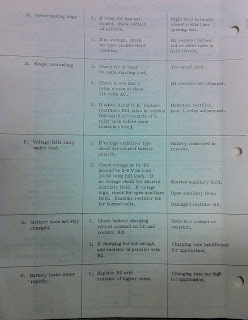 Click on the pictures to view them larger.